Those who are waiting for Britain's gold medal stamps can go to the post office tomorrow as we celebrate the first women's rowing gold medal ever, as well as the first gold medal of the London 2012 Olympic Games. Helen Glover and Heather Stanning in the coxless pair. For the second Gold Medal of the day: Bradley Wiggins claimed a British record seventh Olympic medal with a sensational gold in the men's time trial. 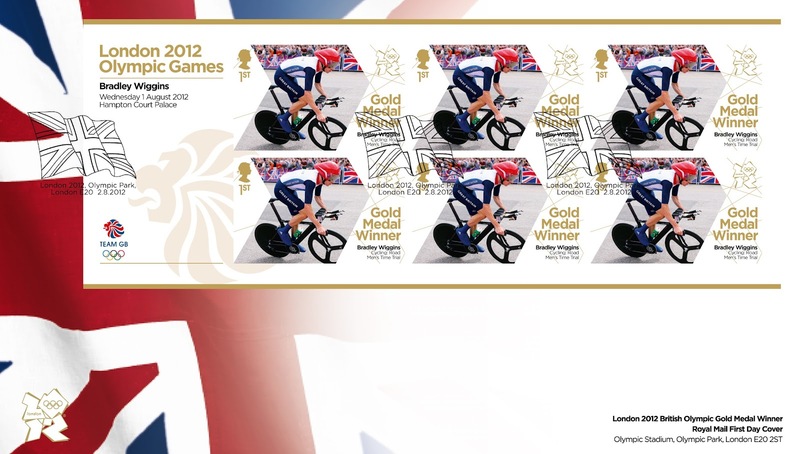 Does anyone know if these will be released in a Presentation Pack after all Gold Medal Winner stamps have been released? Or will we need to collect the miniature sheets and keep them in the Compendium? As a Presentation Pack collector, I'd have liked single stamps of each Gold Medal Winner to be collated into a standard-style Presentation Pack once the Games are over. It appears that Royal Mail Tallents House will not be selling single stamps (although this was suggested earlier). The Compendium seem to be the only way to keep them. I did suggest in February, when this project was first revealed, that Royal Mail could produce an album similar to Smilers Albums (in their light tan/gold colour) to house the A4 sheets of 4 Gold Medal miniature sheets. Nothing doing yet, but the Smilers Album would seem to be the best way to store these A4 self-adhesive sheets. Can you just buy the individual stamps? See the update above; this is copied from a much earlier blogpost, but it's worth repeating here. Thanks for the reminder. 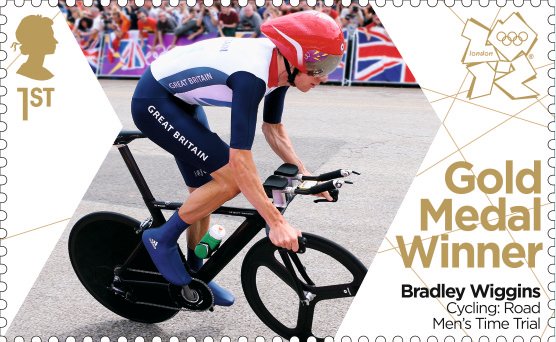 I must say that the Gold Medal Winners' stamps look impressive, so far, but why o why did Royal Mail chose to go down the expensive route only, i.e. six 1st class stamps per miniature sheet, and likewise, FDC, and not single stamps as an alternative? Is it just to cash in on this great sporting spectacle? As said aabove, a presentation pack could have been subsequently made available with all the Gold Medal Winners stamps, and this would have been an attractive, and less expensive memento. Singly available stamps from Tallents House would have been ideal too. Royal Mail appear to be oblious to suggestions, othet than chsoedn route. Pity. Single stamps are available - or will be. My PO wouldn't sell singles today to ensure that they had MS for all who wanted them, but there will be singles available later. FDCs are available so single stamps can be put on a cover and the rest used for postage; indeed you could use both of today's on one cover. If singles are made available over the counter, do you think it likely that SG will give them unique listings? SG have already indicated that they will be listing them as singles.